It is commonly used in cosplay different kind of character such as Daenerys Targaryen, Hatter and Vice Ganda. They don't dry out for me at all unless I wear them for like 12 hours (which you shouldn't be doing anyway cause the recommended max time for wearing contacts is 8hrs). Of course this depends on how sensitive your eyes are. Fair warning though: if your eyes are dark the purple isn't too noticeable, unless someone is close to your or the sun is shining in your eyes. They do have the enlarging effect though. The purple isn't obnoxiously bright either, so if you're looking for a more "natural purple" and have dark eyes, this is it. 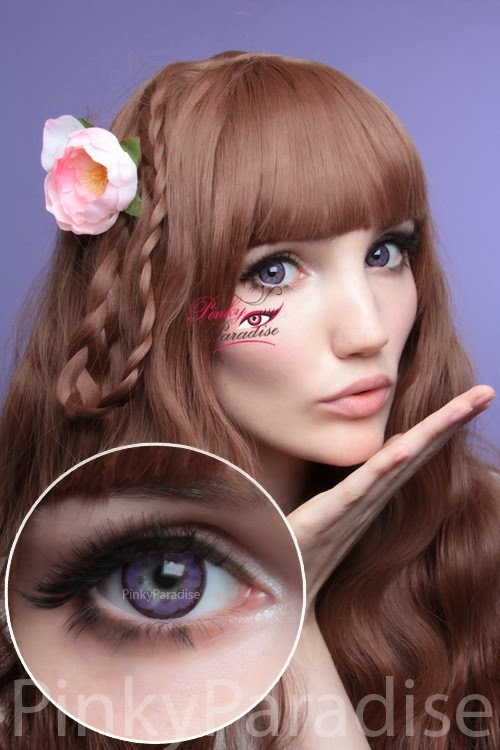 *Color: these lenses are comfortable and a very nice violet/purple. However, I think I was wrong to choose the color "violet" that doesn't satisfy me at all. But beyond personal preferences, they are beautiful!